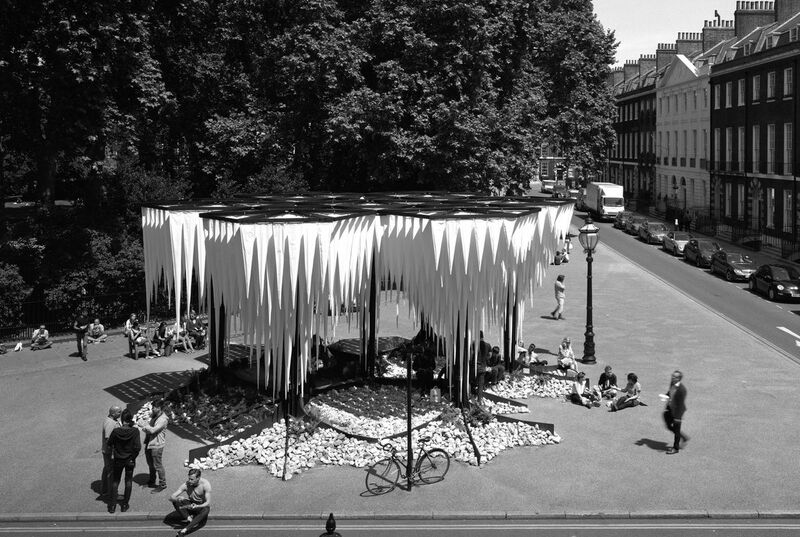 Rainforest is part of a long term research agenda developed by GUN Architects related to the production of temporary micro-climates that integrate water as a rationalised dynamic element within architecture. The Pavilion is a new iteration of the Water Cathedral, which was the winning entry to momA’s young Architects Programme, built in San- tiago in 2011. Its evoltuion to integrate flora and fauna into the archi- tecture, as well as the hydrolic system, enhances the feeling of being within a complete habitat—in this case one juxtaposed to the urban surounding it was placed within.